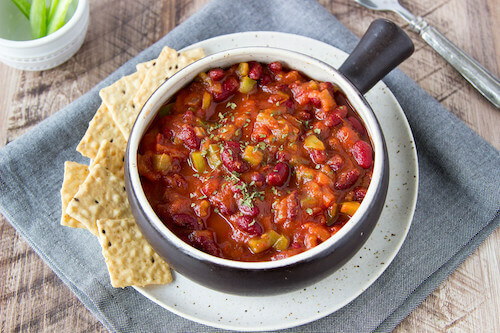 Vegans, what are you cooking this week? Remove the guesswork and overwhelm from your vegan, plant-based lifestyle for good. 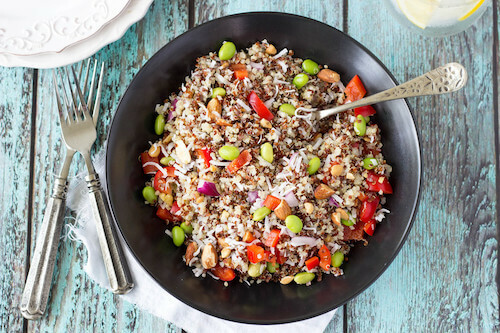 We make it ridiculously easy to stick to your healthy lifestyle with our research-backed, cook-at-home meal plans that can be prepared in as little as 60 minutes a week. Everything You Want Out of a Plant-Based Diet, Made Simple. Choosing healthy doesn’t have to be hard, time-consuming, or stressful. Lindsay & the Happy Herbivore team (the makers of Meal Mentor) put in the hard work so you don’t have to, delivering delicious weekly menus that help you stay consistent without all the fuss. Our customizable meal plans and grocery lists make it easy for you to stick to a deliciously healthy life even during the busiest of weeks. 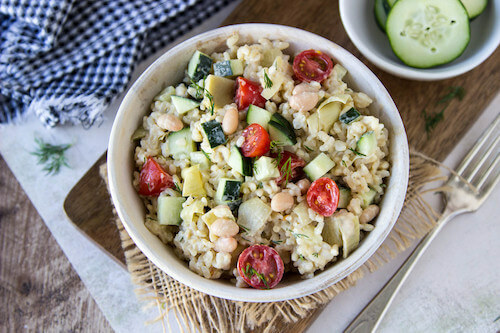 Whip up a variety of nutritious, home-cooked meals, so you never have to worry about getting into a food rut or desperately ordering takeout again. Stop wasting hours pouring over cookbooks and Pinterest. We’ve been putting together plant-based meals for over a decade and know how to inject your daily mealtimes with exciting and nutritious dishes in 20 minutes or less (yes, even amidst your 80-hour-work-week and never ending list of errands). It’s time to put away the calculator. Whether you want to maintain or even lose weight, Meal Mentor is the only vegan-specific weight management meal planning membership. All menus come with calorie and macronutrient counts, and some recipes include options for waist-friendlier portions and lighter substitutions. How the Meal Mentor app works. Access & customize your weekly meal plan every Sunday. Open your the Meal Mentor app and see your suggested weekly menu. Make substitutions depending on your preferences and dietary restraints, or swap out meals that don’t tickle your fancy completely by searching our recipe database. Not planning to be home? Remove a meal in seconds. Use your custom grocery list to shop for your favorite ingredients. Tick off the items as you shop in the app, or print your list and pop it in your bag. Save money and time while reducing food waste with a grocery list of only the exact ingredients you need for the week. Prep your meals with our precise and easy to follow step-by-step directions for delicious results, even if you’re no Master Chef or new to vegan cooking. Tick off ingredients as you use them, and prep your meals ahead of time to reheat throughout the week. Or, if you prefer, most recipes can be cooked in 5-20 minutes – perfect for busy weeknights. Sticking to Your Healthy Lifestyle is Just Plain Easy With Meal Mentor Meal Plans. Thousands of members — including doctors, dietitians, nutritionists, and athletes — trust us to help make vegan plant-based meal planning effortlessly easy, delicious, and nutritious. OMG, this is so good!!! 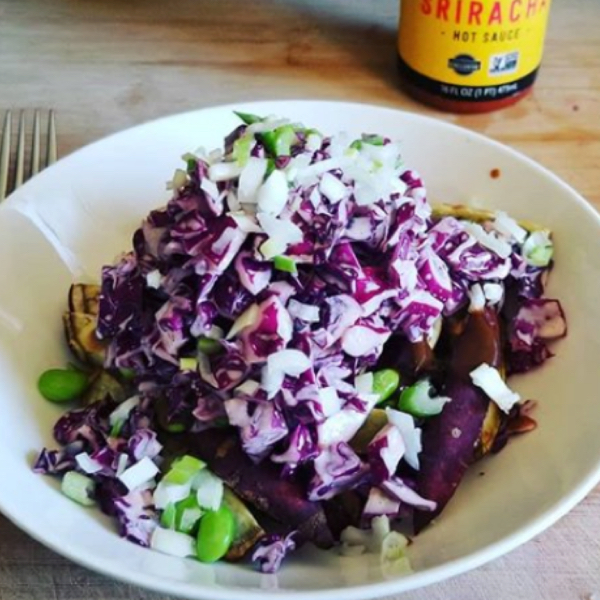 Vietnamese Loaded Fries from @mealmentor Used Japanese sweet potato instead of regular sweet potato, because the Japanese variety is my absolute favorite! 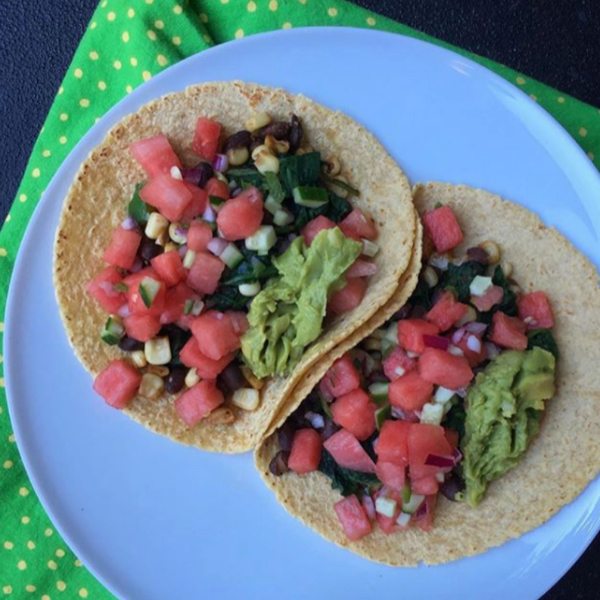 A delicious, creative dinner of watermelon tacos from @mealmentor. 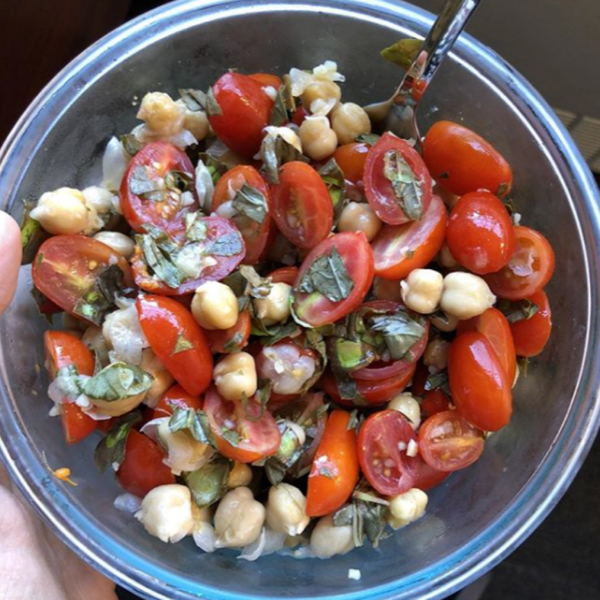 I loved this dinner and it’s one of the best recipes I’ve made from #mealmentor yet! The #watermelonsalsa was a lovely, refreshing addition. Meal prepped like a bandit today. Made an entire workweek of breakfast, lunch and dinner for us from the @mealmentor #shortcuttoslimblueprint to reset our systems after a week of junk eating. Take a peek inside your monthly Meal Mentor membership. Unlimited Access To The Meal Mentor App. Get everything you need to sustain your plant-based, vegan lifestyle — wherever, whenever. A weekly meal plan of simple vegan plant-based recipes, each prepared in 5-20 minutes using real, whole ingredients. With options for 7 to 21 meals per week, choose a plan that works for you. Auto-generate a list of the ingredients you need in a single click. Nothing more, nothing less. Access hundreds of our most popular Meal Mentor recipes in our in-app recipe database, all free and immediately at your fingertips. 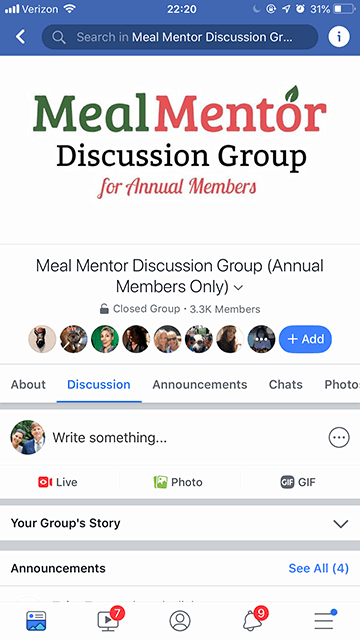 Join thousands of members in our Meal Mentor community forums and Facebook Group. Share your experience and get the support you need from like-minded individuals. A Premium Meal Plan at a Budget-Friendly Price. Saving time, stress, and money to eat healthily shouldn’t need to cost an arm and a leg. Even with the additional cost of your weekly ingredients (some of our members spend just $30-$40 a week for two people), Meal Mentor is often a far wallet-friendlier option than meal delivery kits, plus you get a whole host of other benefits. Approximate Weekly Cost (for 2 servings for meal). Ability to Swap Out Recipes with 100s of options each week. Starting at $2.48/week for 12 months. Often just starting at $60/week for only 3 months. Can I customize my weekly plan? If so, how much? Absolutely. Our app allows you to swap out recipes with others, and by shopping for your own ingredients, you can customize your meals based on personal preferences and dietary needs. On top of being vegan and plant-based, many meals can be made soy-free, gluten-free and nut-free with some small adjustments. Our recipes also serve 1-4 people, so they work for individuals, couples and families — plus the variety of delicious meals will be loved by everyone (yes, even your non-vegan partners, friends, and kiddos). Is a MealMentor membership for weight loss only? No way. 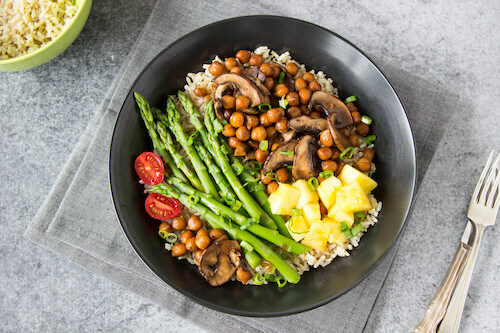 While members who follow their weekly meal plan closely do often lose weight if they want to, Meal Mentor is designed for anyone who wants to access the many benefits of a plant-based, vegan diet made easy. That includes weight loss, weight maintenance and more general health benefits like better cholesterol, lower blood pressure, and a decreased risk of coronary heart disease (University of Toronto, 2018). If weight loss is your goal, you’ll want to pay attention to macronutrient and calorie details provided with each recipe, along with our lighter portions and substitution suggestions. If not, you’ll still see experience the incredible health benefits a WFPB diet provides. Help feed elephants with your Meal Mentor membership. Meal Mentor donates a portion of every membership to PAWS’ Elephant Rescue Program. Since 2011, our members have helped us give nearly $25,000 to this wonderful cause. Meet Mara. Mara was born in Africa in 1980 and shipped to a U.S. zoo after her mother was killed. She spent a few years being sold off to different owners, until her rescue by PAWS in 1990. Today, Mara roams free at a sanctuary in Northern California, where she enjoys fresh vegetation and roaming freely with fellow elephants Lulu and Maggie. We’ll Save You Hours of Meal Prep and Stress Each Week. Your Meal Mentor membership is an investment in your best, healthiest self — all for less than the price of your weekly guilty pleasure coffee. Even by using just 1-2 recipes a week in your meal plan, we guarantee you’ll save yourself time, overwhelm, and unnecessary food spend. But, if for whatever reason you’re not into the Meal Mentor life, we offer a 30-day money-back guarantee, no questions asked. 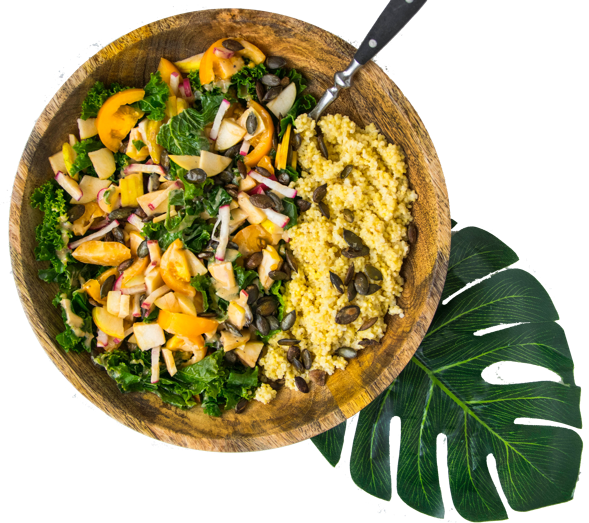 Try Meal Mentor Today and See the Benefits of Vegan Cooking Made Easy and Fast for Yourself. Claim your 7-day free trial today.